After a long summer and fall hiatus while I’ve been actually DOING bonsai, I’m back this week with the first of several articles to be published before the end of the year. Thanks for being patient and sticking around! Third Generation Inoue Ryosai(Inoue Ryotaro) was born September 4, 1888 in Asakusa, Tokyo, to the eldest son of the founder of the kiln. The kiln was originally founded in the Edo period, and the family is descended from a long line of potters in the Owari/Seto clan. 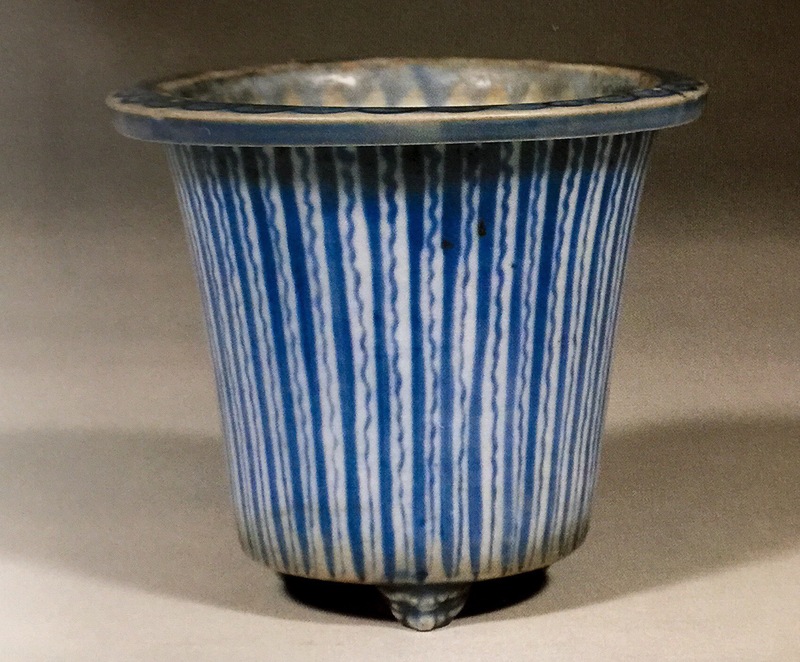 He began his study of ceramics at the age of 17, and studied under “the father of modern Japanese ceramics”, Itaya Hazan. 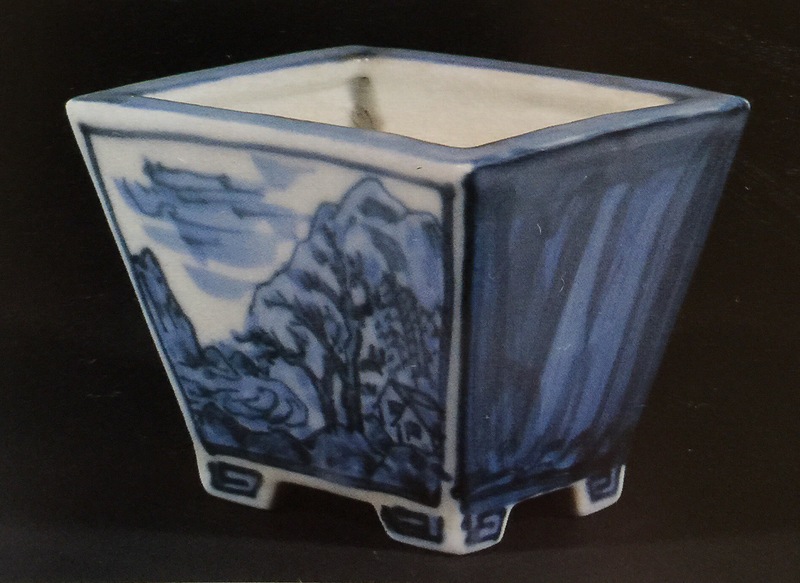 In 1914, he inherited the family kiln and name, and moved to Yokohama, and built a new kiln. The kiln was destroyed in 1923 in the Great Kanto earthquake, and he constructed a new, larger noborigama(climbing kiln) that still stands today, almost 11 meters tall. 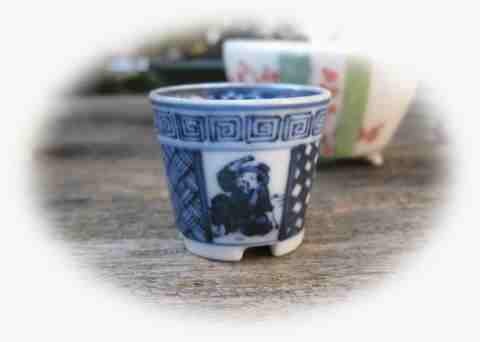 It is “a mere 10 minute bike ride” from the kiln of another of the all time greats of Japanese Ceramics, Makuzu Kozan. 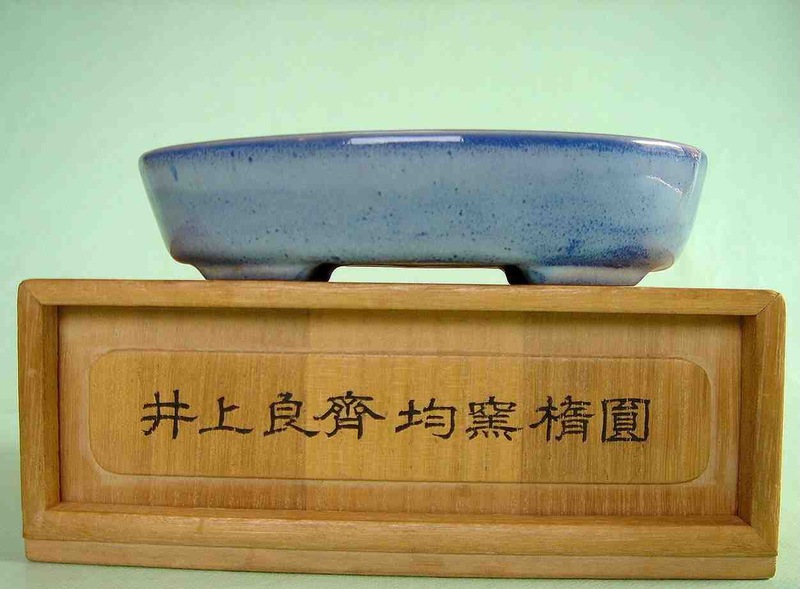 Ryosai specialized in export pottery for the high class Chinese and European markets, so pieces(like bonsai containers) for the Japanese market are exceedingly rare and culturally precious. Ryosai won a host of prizes and awards in his lifetime, including the Emperors Prize in 1928, admission to the Japanese Acadamy of Fine Arts, and the rare designation as a living Cultural Treasure. 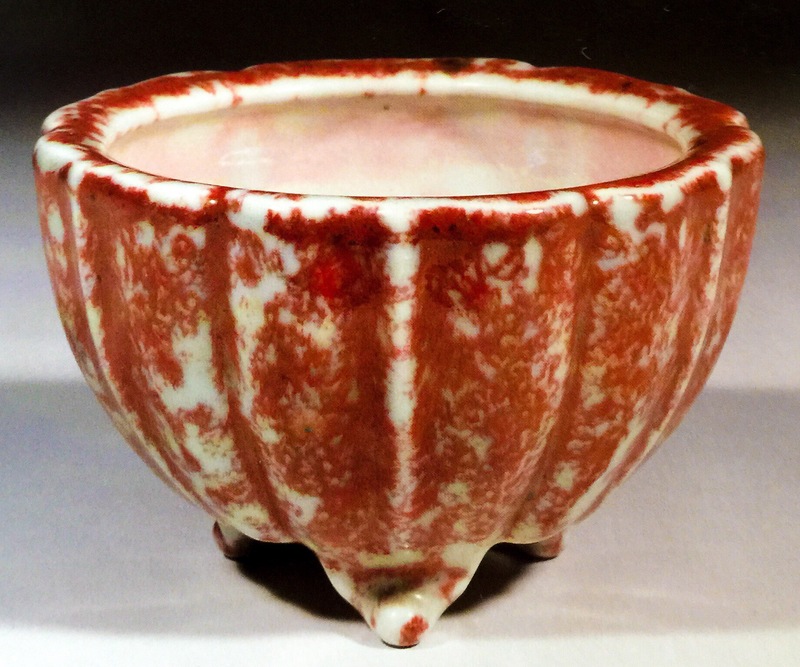 His pieces are varied in style, and run the gamut from Unglazed to Glazed, to painted, carved and even enameled. 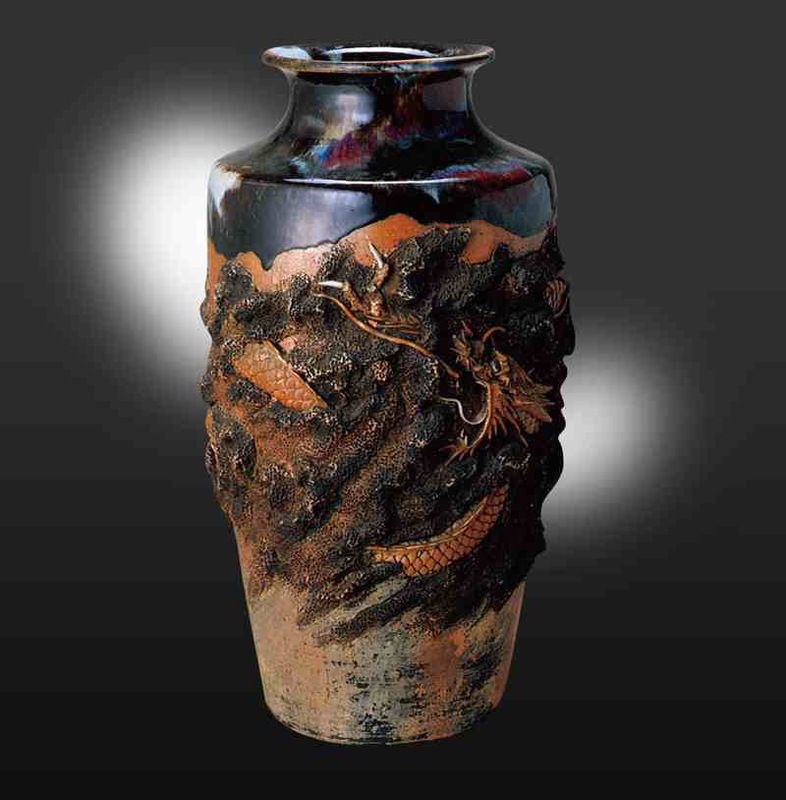 Truly an exceptional talent in all forms of ceramic art. He passed away February 6, 1971. 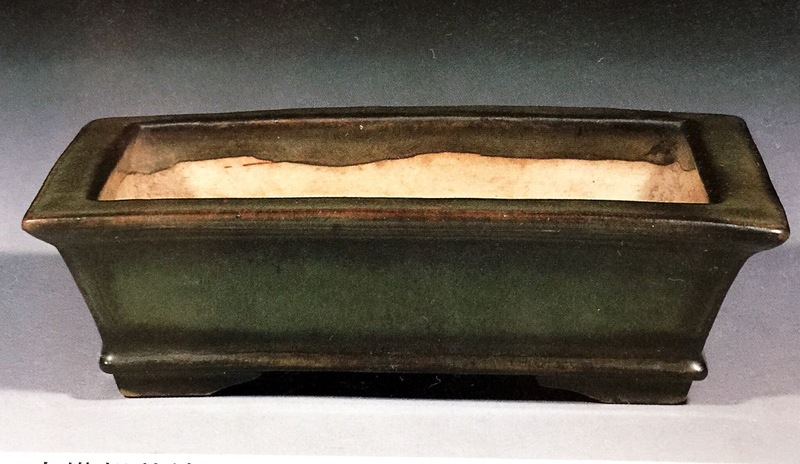 A really fantastically glazed rectangle with cut feet and white clay. One of the few I’ve ever seen up for sale. Another wonderful glazed piece. Very contemporary in both style and glaze, this is what makes the truly great artists: timelessness. Another glazed piece, this one a soft mokko Showing an excellent patina. It wouldn’t be fare to show Ryosai’s work without a few Non-bonsai related items. A love crackle with just a splash of color. A really striking kinyo oval. Note the full coverage of the feet and the total lack of patina. Truly a valuable item. One of Ryosai’s painted sometsuke pieces. Taken from the blog of Haruyoshi San. Charming and whimsical. 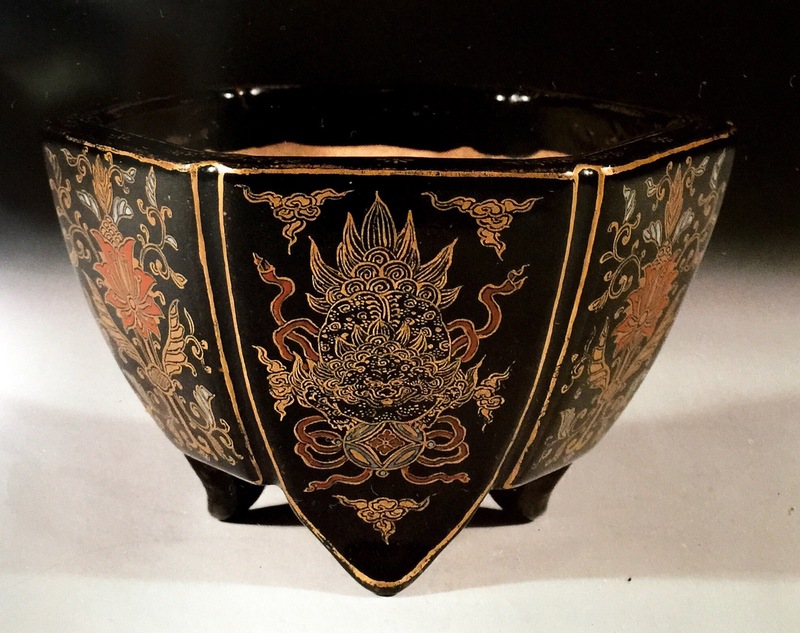 A famous and outstanding overglaze enameled piece in black, red, and gold. The detail is stunning. Absolutely breathtaking piece. Another of Ryosai’s non-bonsai pieces. Had to include this one, for the striking carving. A glazed rectangle in a striped and rich green. Great depth to the glaze. 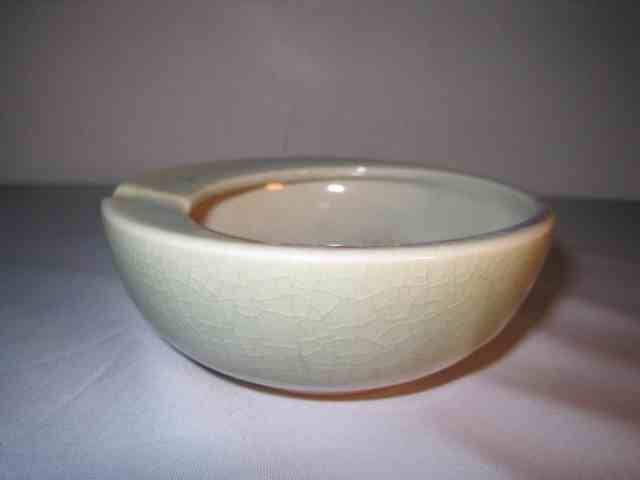 An unglazed oval. 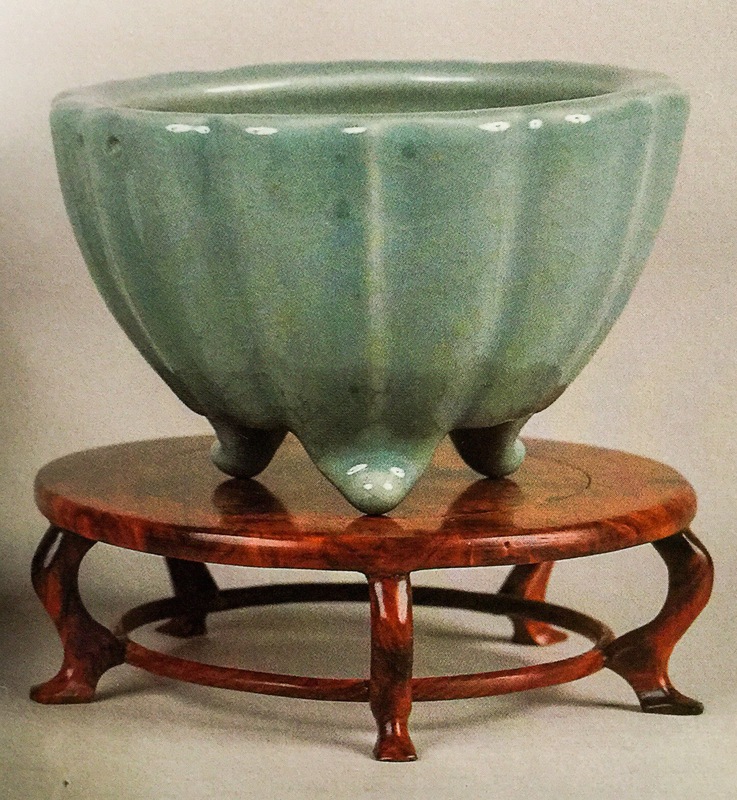 The clay color, patina, and form are striking. 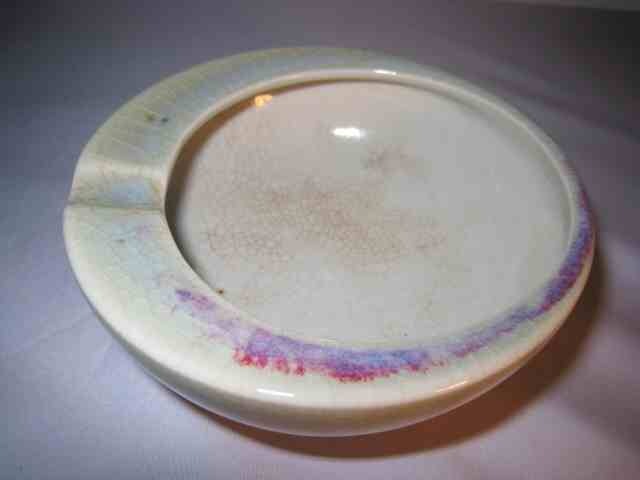 One of Ryosai’s specialties was Flambé glaze, also known as Oribe red or copper red. 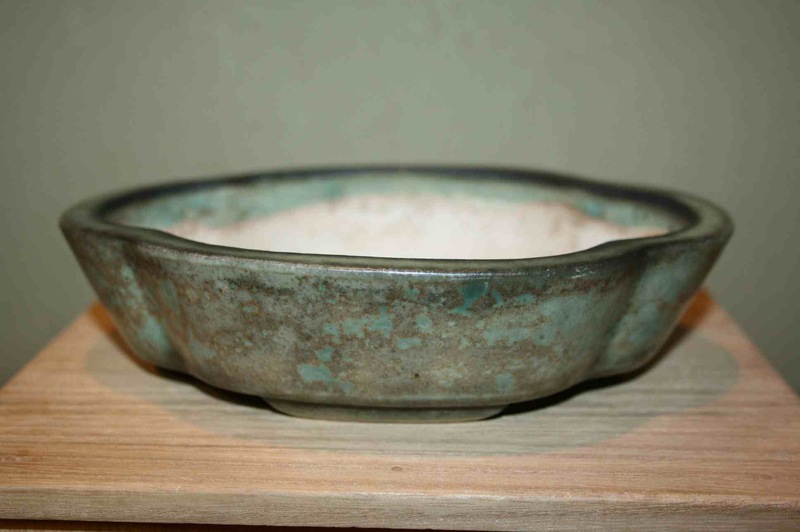 Under certain conditions(oxidation at 1220C) Oribe glazed are green, under others, they’re red. The level of red in this woven glaze is simply outstanding. 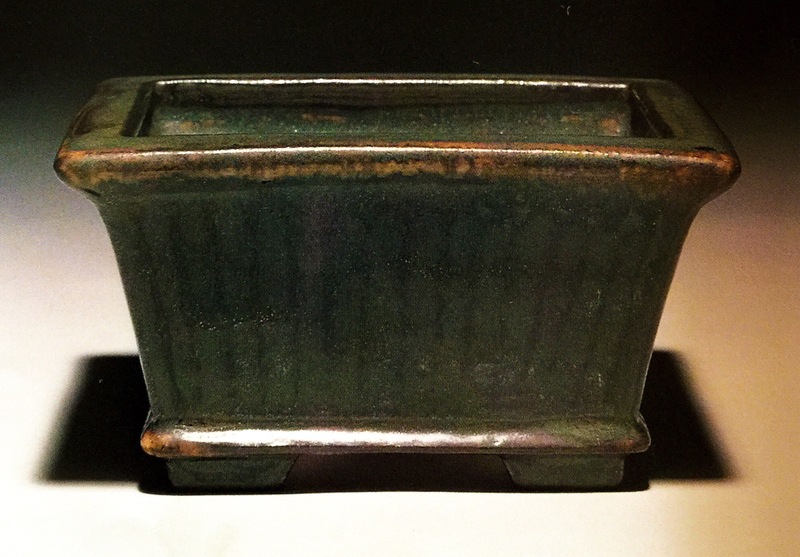 A six sided pot with a soba noodle glaze. Great depth and fantastic, uniform fine oil droplets. 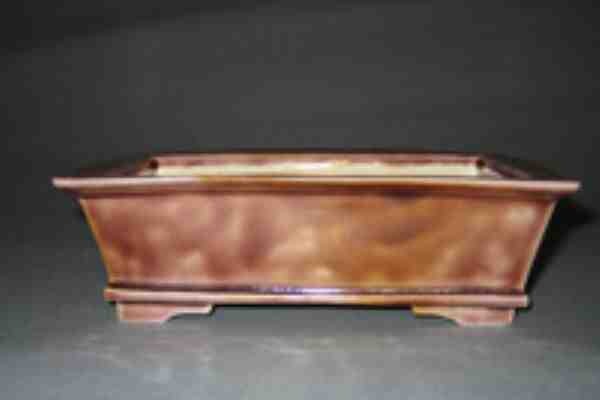 Another painter container, this one painted with a rustic geometric band. Charming and whimsical. Another Flambé glazed piece, in an antique mirror shape. There’s just not much to say here. It’s breathtaking. Masterpiece. A rich and deep green glazed rectangle with lip and bottom band. Marvelous patina. Simple, classical, lovely. 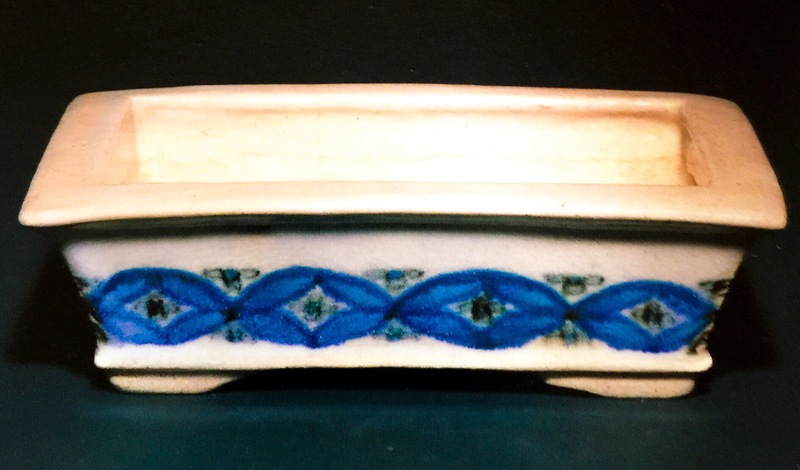 A painted cascade container in cobalt-blue showing some fancy feet and wonderful patina. Last up for the flambé/Oribe-red containers, is this matched set of cut foot squares with lip. Simply outstanding. No potter I’m aware of does copper reds quite as well as Ryosai(Imaoka does a pretty good version though). A simple and elegant celadon crackle in antique mirror shape. 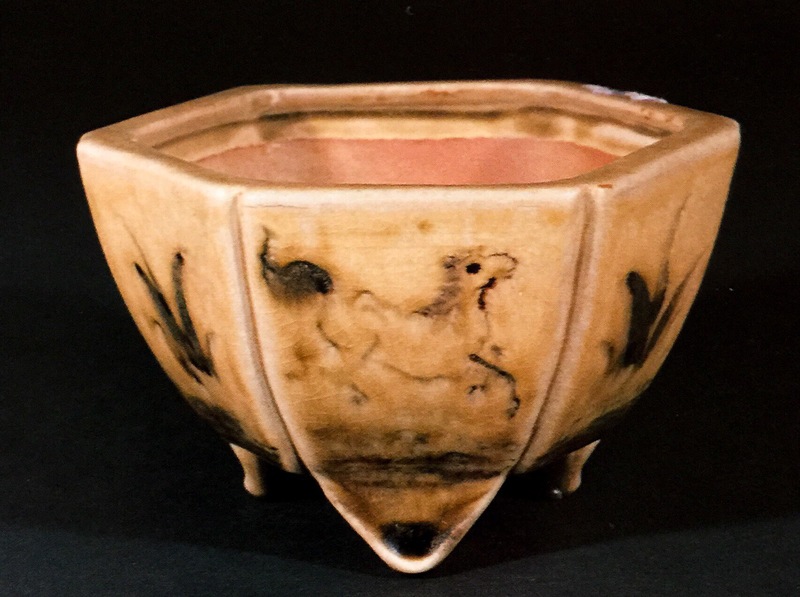 Six sided container with triangle feet in classical Oribe with painted horse. Elegant. Another painted container, in sometsuke. A simple landscape and charming painting. 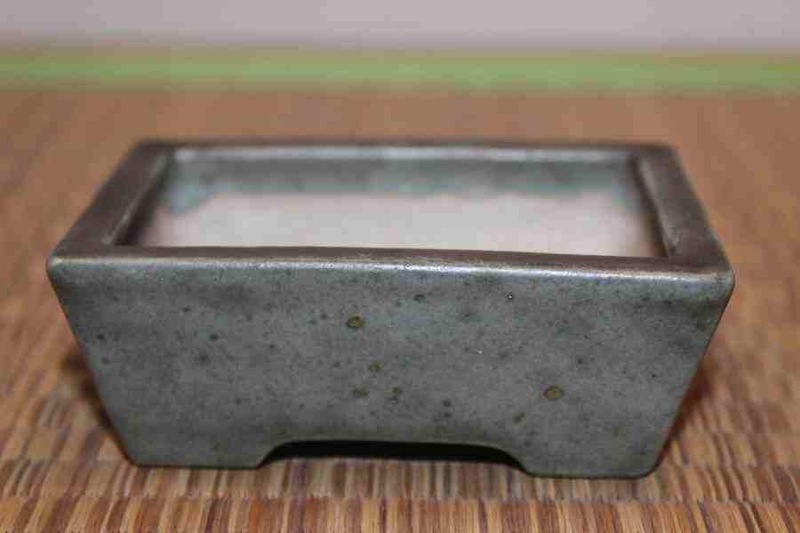 And we’ll finish up our look at Inoue Ryosai with this fantastic mokko in Kouka-Yu(peach glaze). Lovely, uniform color, striking in its simplicity and perfect form. 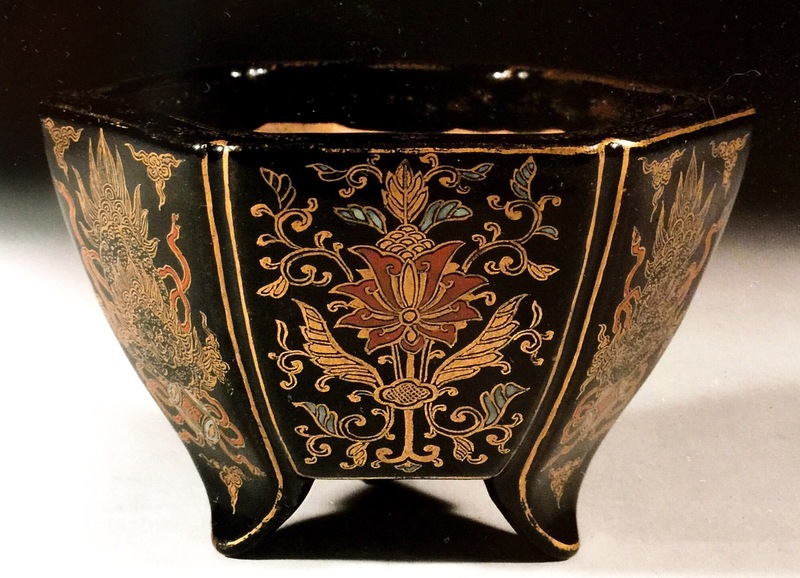 I hope you’ve enjoyed this look at the masterpiece containers of Inoue Ryosai. Stay tuned, I have several more articles coming up on the horizon, including a Co-op article with Heike Van Gunst of Germany (who is also translating my articles to German for Peter Krebs’ Bonsaipots.net site) on Ishida and Yuuki Shoseki, several articles in series on antique Chinese glazes and clay types, and more!